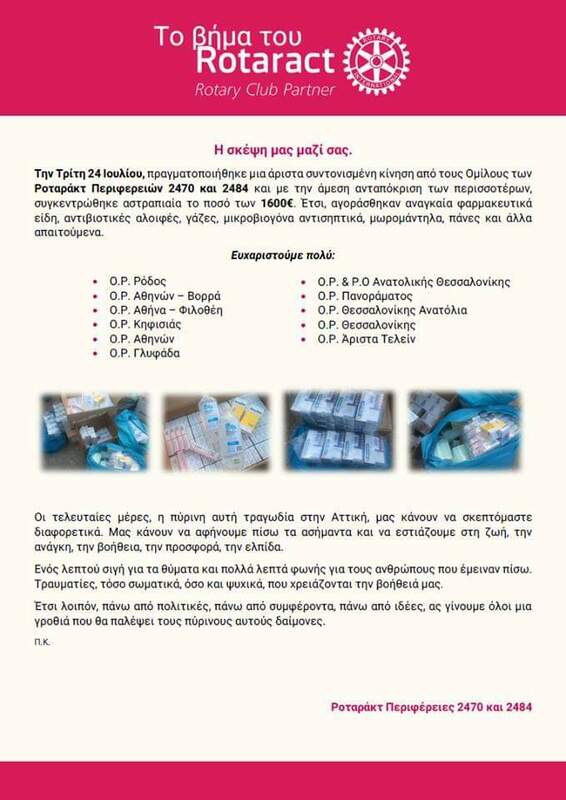 The Rotary Club of Athens, in support of our fellow citizens who suffered from the big fire in Mati (Athens) that happened on the 23rd of July, donated EUR 100 to meet basic needs, in the context of a coordinated action of the Rotaract regions 2470 and 2484. In total, and very quick, we gathered EUR 1600. A taste of the Mediterranean. Speech of the President of the Rotaract Club of Athens.